Hot Property is sponsored by Tribute Communities, MonsterMortgage.ca, and The Al Sinclair team – Remax Hallmark Realty. 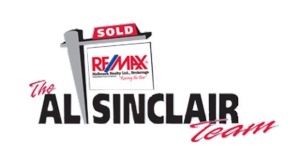 The Al Sinclair Team is a hand picked group of award winning professionals dedicate to making your real estate adventure an easy and rewarding one Each Team member has been specially trained in all areas of Toronto Real Estate and is as diverse as the great city they represent. Our Home Find consultation and Sell Smart Service is free to anybody who is considering making a move. Visit our website at www.alsinclair.com and start packing today. AlarmForce brings over 25 years of experience providing advanced security solutions that give peace of mind to our customers. Combining the best in new technology with exceptional customer service allows us to help homeowners avert life’s everyday crises. Whether a pipe burst, smoke is detected or an intruder has broken in, our live Two-Way Voice technology allows us to respond within seconds and alert the authorities immediately. We monitor your home and the things that are important to you, so that you can focus on enjoying life. Call us at 1-800-267-2001 or visit us at alarmforce.com. Land transfer tax and mortgage calculators provided by the Al Sinclair Team.